Polar Bear sails to triumphant finish in the Rolex Fastnet Yacht Race for Earthwatch. At 2:38pm on Friday 14 August, the 72 ft yacht ‘Polar Bear' and her triumphant crew of 18 sailed into Plymouth, marking the completion of the 2009 Fastnet Yacht Race after 5 days, 2 hours and 18 minutes at sea. Polar Bear was racing in support of Earthwatch and children's hospice Martin House. The initiative and collaboration with the charities was spearheaded by crew members and Harrogate-based businessmen Mark Styles of People First Group and Bill Holt of Foretel. 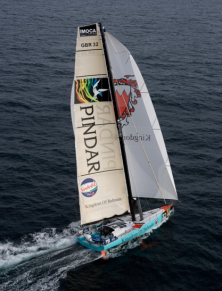 Challenging conditions of light winds at the beginning and end of the race combined with strong tides made for a long and tactically difficult race, although Polar Bear battled on, beating the two ‘Challenger' yachts - her direct competitors in the event. The 608 nautical mile course of the 2009 Fastnet ran from Cowes on the Isle of Wight to Plymouth via the Fastnet Rock off southwest Ireland. The race remains one of the world's most prestigious offshore yacht races. 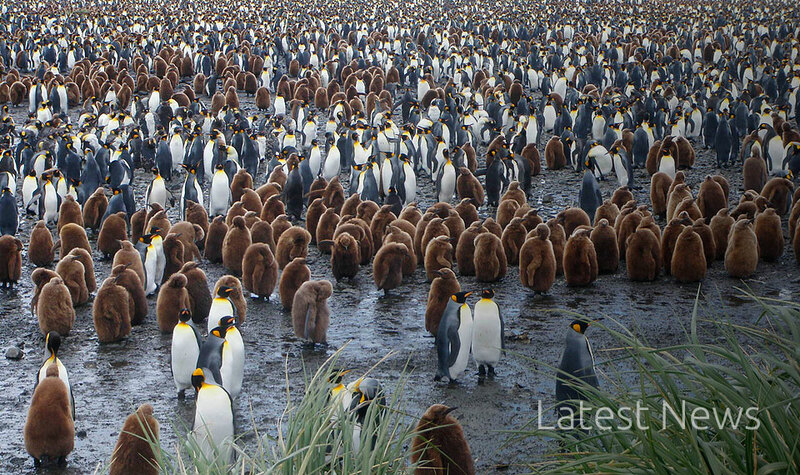 Among the crew of 18 was explorer, TV presenter and Earthwatch Oceans Ambassador Paul Rose. Paul says: "I do everything I can to raise awareness of the importance of understanding and protecting our oceans and you can't beat the Fastnet, the ‘Grand Prix of Ocean Racing' as a backdrop to the excellent Earthwatch programmes. "I have sailed all of my life and competing in the Fastnet was always a dream. It came true last week in fine style and even better - I was able to fly the flag for Earthwatch too!" Earthwatch's PR Manager Jo Croft was a last minute addition to the Polar Bear crew for the race, and the only female member of the team. Jo says: "The chance to take part in the Fastnet Yacht Race was truly the opportunity of a lifetime. The crew are an amazing team and to see first-hand their commitment not only to completing the race in tough circumstances, but also the support that they gave to Earthwatch through this collaboration was incredibly inspiring. Polar Bear is an iconic boat and the Fastnet 2009 crew great ambassadors for Earthwatch's marine research programme." Polar Bear has a prestigious history. She is the vessel in which Dee Caffari became the first woman to sail around the world against the prevailing winds and currents. Polar Bear is now the charter vessel for The Polar Front - a company which organises expeditions to the Polar regions, run by Fastnet crew members Phil and Mark Richardson. A total of £4800 was raised for Earthwatch's Oceans Appeal through the Fastnet yacht race. The funds will be used to support and develop vital scientific research. Earthwatch currently supports 13 marine conservation projects around the world, ranging from monitoring populations and behaviour of whales and dolphins off the coast of Scotland to assessing the potential of Kenya's tidal mangrove forests to act as carbon sinks. Since its inaugural race in 1925, the Fastnet Race has grown from just seven participants to a fleet of 300 yachts hailing from countries all over the world. Now one of the world's classic ocean races it's seen as a supreme "must do" challenge to racing yachtsmen who face varying weather conditions and tricky tidal currents. To take part requires skill, courage and endurance. Each race has its own unique story's involving triumph and disaster - no more so than in 1979 when fierce storms resulted in the tragic deaths of 17 competitors. ‘Polar Bear' is a 72 ft steel hull Challenge yacht which became famous as ‘Aviva' when Dee Cafari became the first women in history to sail single-handed west round the world in the vessel. Earthwatch ambassador Paul Rose was among the Team Pindar crew finishing second in the Artemis Challenge at Cowes Week on 5 August. Paul, an avid explorer and BBC television presenter, said: "I've been sailing all my life but it's not every day you get to be out on the water on an Open 60 and with some of the best sailors in the world. It's been a tremendous event and a great opportunity to raise awareness for Earthwatch and its Oceans Appeal." 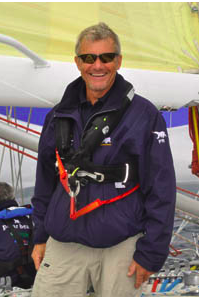 The Team Pindar skipper was former ISAF World Sailor of the Year and TEAMORIGIN Team Director, Mike Sanderson. Light winds forced organisers to modify the normal ‘round-the-island' course, to a shortened 35-mile route through the Forts and around Nab Tower off the Isle of Wight. Eight miles from the official line, as the wind dropped further, the race was called to an early finish, sealing victory for Frenchman Seb Josse and his crew. Now in its third year, this year's Artemis Challenge attracted a total of eight Open 60s, many of which had not competed since the end of the non-stop solo round the world yacht race, the Vendée Globe, earlier this year. Each yacht played host to a celebrity sailor which included names from the world of entertainment and sport: Zara Phillips, Bryan Adams and Rugby World Cup winners Will Greenwood and Mike Tindall. Mike Sanderson said: "Obviously it was disappointing not to have more breeze, but we had a good time and definitely made the most of the day. Considering how well the boat has been performing in the strong winds over the last few days, I was really encouraged to see how well she handled the light breeze too."